Home / Blog / Is your business card effective? In this day and age where social media and online inter-connectivity have become the main platforms of interaction, it is easy to think that you are always on top of your game as far as creating a lasting impression goes. What many people fail to understand is that whereas social media chats, instant messages, tweets, likes, and emails will serve you well when you have the right gadget and internet connection, they don’t offer the personal appeal that a business card does. It not only packs a lot of information within a small space but also gives the recipient a lasting image of your business or line of work. When properly designed and well crafted, business cards will even give your employees and colleagues a sense of pride in what they do. Therefore, a business card is something that you must have. It will give recipients an easy way of getting in touch with you and, it will also increase your chances of getting referrals. Read more and learn the importance of business cards, what to consider when designing yours and how we can help in the design. Well-made business cards are conveniently small enough to be portable and cheap. The advantages range from personal to business benefits. Below are the main reasons why you should include them in your business plan. One thing that you might not know is that your contacts expect you to have business cards. 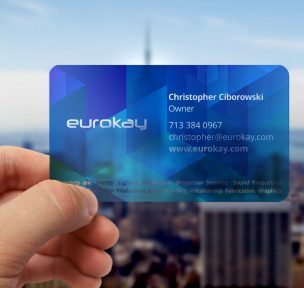 Modern day professionals acknowledge the role of technology, but still regard business cards highly and therefore, having them means having creative yet professional reminders of who you are and what you do this is a must when you got to networking events. It is important to highlight that business cards play a very important role in creating a lasting impression and credibility. An attractive and well grafted business card will capture the attention of your contacts and they are likely to look at it more than they are likely to look at a mere phone number or email address. Imagine yourself at a business gathering where there are 200 or more potential clients. That would be luck on a silver platter – but only if you have business cards. Otherwise, it would be the definition of a lost opportunity because you’d need so much time and effort to exchange contacts with them (chances are you won’t get more than 20 contacts). The networking process would involve going from one person to another with your smartphone and giving them your details by word of mouth. What’s wrong with that? Well, apart from the fact that you will get tired of talking after 10 to 20 people, they will not save most of your information (apart from name and phone number). But when you have business cards, you can simply pass on as many details as possible about you and your business without any hard work. A well-designed business card will show your identity, skills and contacts. The three are very important because you might run into a person who doesn’t need your services but knows someone else who does. The business card will provide the third person with all the information that s/he needs to reach you and ask for your services. In addition to being referable, business cards make it easy for your clients to do follow-up. Contrary to a phone contact that might not be self-explanatory, a business card will remind the client about you and your business and that will make it easy for him/her to ask for more of your services, compliment you or even make a complaint. All those are good for your business. When your business card is well designed, it will not only portray your name and contact but will also incorporate your main activities and place of work. Some cards come with the company logo and extra information like slogans and mottos. Such cards go beyond you as an individual and cover you as a brand in the organization. Business cards can also be added to media packs like proposals and invoices so that their recipients can get something to keep. Whereas the paperwork will get filed or thrown away, the business card is likely to end up in the recipient’s wallet. If your clientele consists of other businesses, you can leave your cards with them whenever you are making deliveries. That way they will be able to refer other potential clients to you. Now you know why you need business cards. But how can you ensure that they are designed in a way that will offer you maximum benefits? We have some suggestions. Format it well: ensure that your business card design allows all the important details to be visible in a glance. For example, you can let your name, phone number and main skills be bolded and in big font compared to other details. Include extra details: most business cards look alike. Set yours apart by incorporating extra features like quick response (QR) codes that can let the holder to access your contact details instantly. Translate the info: if you are an international traveler, try to add the same information on the flip side of your card in a second language (one whose country you visit a lot). Keep it simple: a simple business card design will ensure that it is readable. Avoid too much clutter and stick to a material that is unique, durable and presentable. Use colors that are appealing to the general population. Do not skim on quality and thickness of paper: People love a card that feels good when you hold it. Size it appropriately: your business card design should ensure that it can fit in a standard wallet because that is where most people carry cards. Otherwise people will lose it because of challenges in storage. Ensure details are accurate: that is the only way that clients can actually reach you. Our professional design team at TuiSpace can do the creative work of designing and printing your business cards as you focus on creating connections. Here at TuiSpace, we are skilled in custom graphic and web design. We are your ultimate and affordable business partners. Our designers thrive on creativity and they boast of plenty of experience in graphic design. We will provide you with business cards that will transform you from any other person to a personal brand that is a lasting memory to all recipients. With our custom made business cards.